What is a darning needle? If you’re new to crochet, you might have heard of this but aren’t really sure what it is. I know there are a lot of hook and tools to get straight when first getting started. What’s a crochet hook? Do I need one or two? What size? How do I know what yarn to use? What’s a stitch marker? On top of all of that, I’ve just added another tool for you to confuse in your brain- a darning needle. But don’t fret! In this post, I will go over everything you need to know, what it is, how to use one, the different types and I’ll give my recommendations of which ones I like the best! So if you’ve never heard of a darning needle, you may think it’s the same thing as a sewing needle and while, essentially that’s what it is, a darning needle is slightly different. It’s basically a thicker, blunt-tipped needle with a bigger eye to make it easier to thread thicker yarn through such as crochet thread or yarn, or embroidery floss. Some darning needles will come large enough to fit bulkier yarn too! 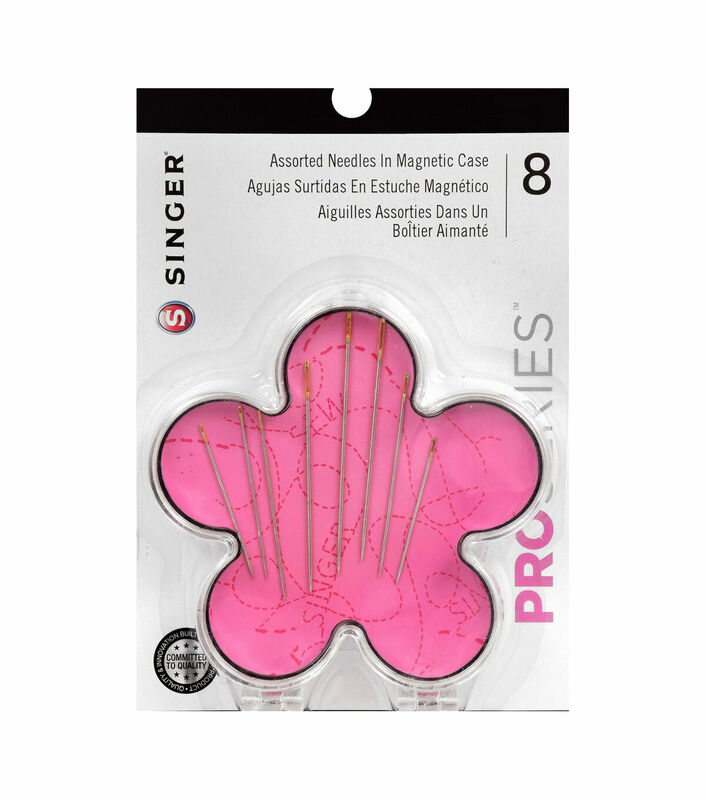 Needle-workers use it for projects such as embroidery, knitting, cross stitch, and sewing- as well as crochet! 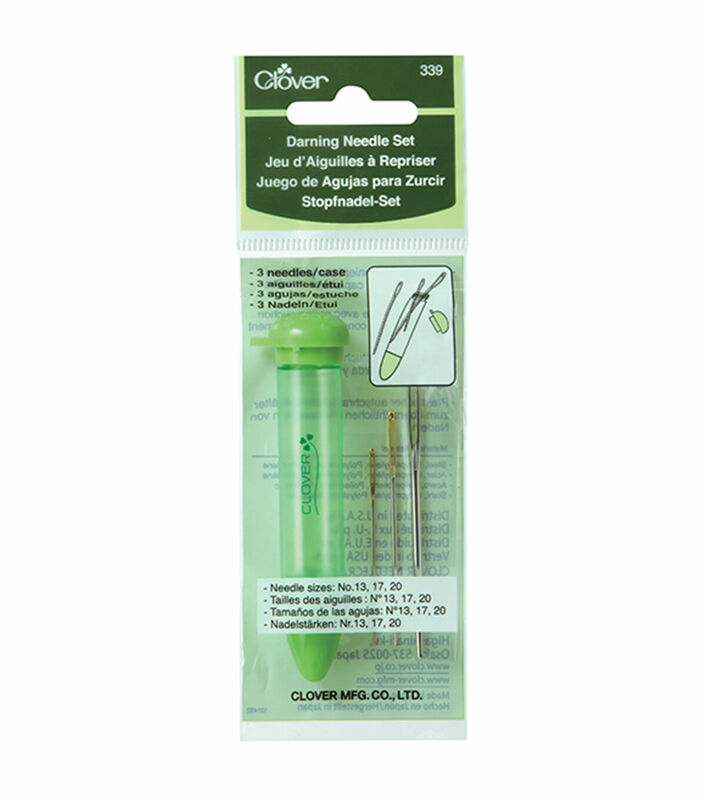 Other names for a darning needle: tapestry needle, embroidery needle, yarn needle. Where is the “eye” of a needle? I know saying the “eye” of the needle sounds funny (Kinda like “frogging” in crochet sounds funny!) but the eye of a needle just means the end you thread your string or yarn through (see below!). Click the photo to shop this needle! 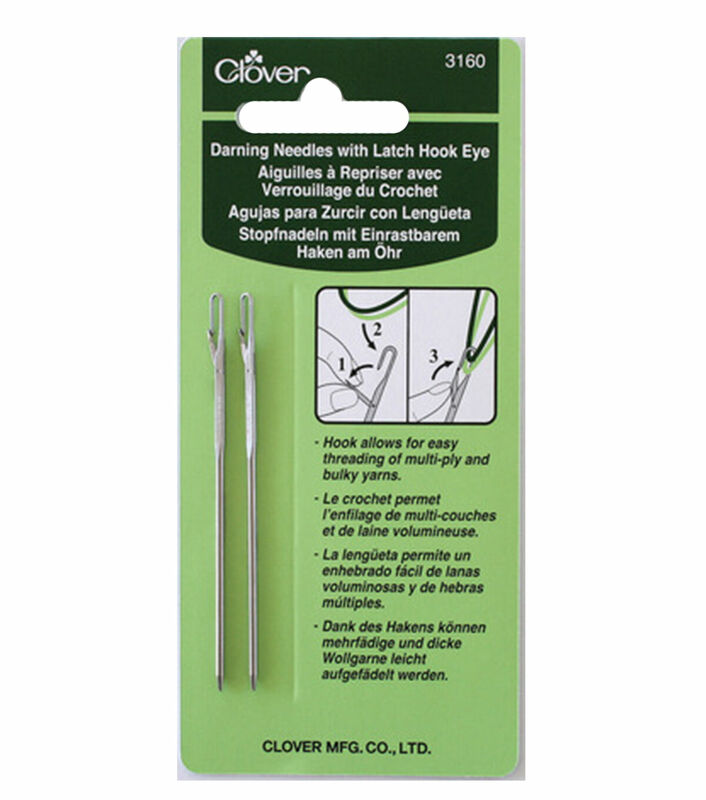 What about Tapestry needle vs. darning needle? Is there a difference there? No, not really. Tapestry needles vs darning needles are basically the same thing. All the needles are manufactured to have the same blunt tip and a larger eye. For the most part there is no difference between a tapestry needle and darning needle, however, in some cases, darning needles may run longer than tapestry needles! How do I use a darning needle? It’s really simple, you just thread the yarn of your choice through the eye and sew from there! It is no different from a regular needle at that point, just slightly larger! If you don’t have a <a href="http:// “>needle threader the easiest way to thread yarn through the needle, from my own experience, is pinching the yarn between your thumb and finger and twisting the top edge so the yarn won’t fray, and pushing the yarn through the other side of the eye! 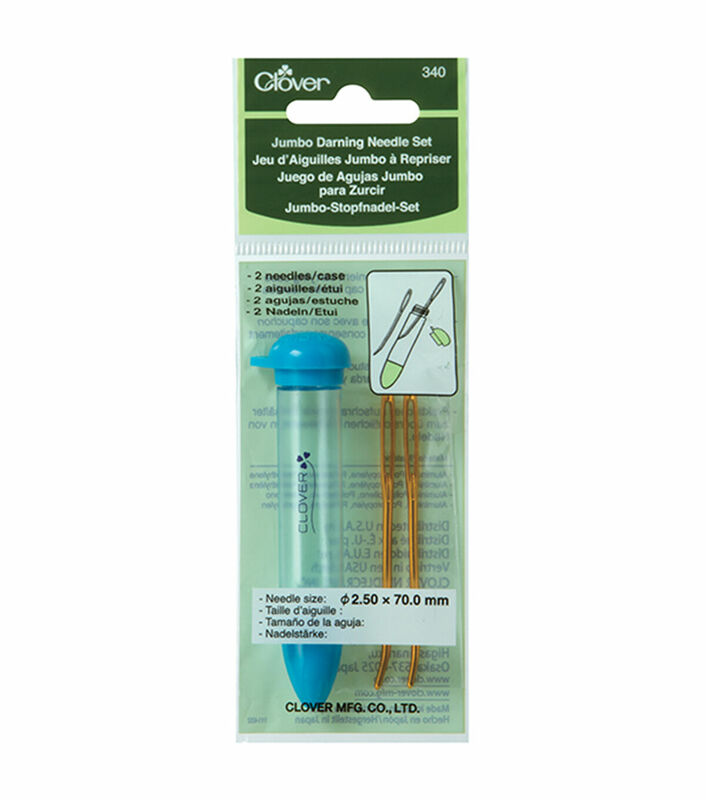 It can be a tedious task at first, especially if you have arthritis or other troubles with your fingers but that’s what <a href="http:// “>needle threaders are for! Otherwise, practice is the only thing you need! What is a darning needle used for? Ah, the most hated thing in the crochet world, for some reason. Sewing in your ends when the blanket is finished. This is probably one of the more common things a darning needle would be for. Another great use for a needle is when you’re making a block granny square blanket and you want to sew your squares together. It makes for a nice, clean join! You could add some cross-stitch or embroidering to your crochet work to add an extra layer to your blanket or afghan! Want a tip on how to make these? Check out how to use a stitch marker here! And I use my darning needle to sew the body parts together all the time! Are there different darning needle sizes? Tip: The bigger the numbers the bigger the eye, the smaller the numbers the smaller the eye! How do I know which darning needle to choose for my project? As I mentioned before, the type of needle (darning, tapestry, embroidery) doesn’t exactly matter as there is little difference in types, however, there is a difference in size. For example, if you are using embroidery floss, you don’t want to choose the biggest darning needle you have as the yarn will easily slide out of the eye of the needle. Just as much you don’t want to take your smallest needle and use it for crochet yarn. If it’s too hard to get the yarn through the eye of the needle, you probably should go up in size! And that’s pretty much about all there is to know on darning needles! Previous Post What is a Crochet Guage and Why is it Important? Next Post Sign Up for my Beginner Crochet Course + Giveaway!